80% Superwash Merino, 10% Cashmere and 10% Nylon... Very nice. 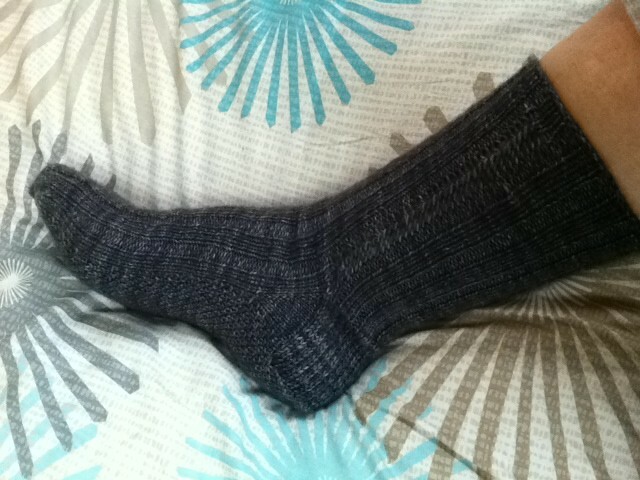 I made the sole in a version of Linen Stitch. I'll write a separate entry to explain.